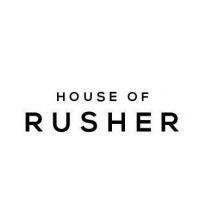 House of Rusher is your go-to squad of communication specialists. We partner with clients to share their story, grow their tribe and help them profit. Our collective features highly experienced and award-winning PRs, journalists, producers and social media experts who thrive on devising the best way to tell your story and where to share it. Twelve-year-old Melbourne boy James Baras-Miller who borrowed his dad’s iPhone to shoot a series of evil teddy short films will star on the red carpet at three prestigious film festivals in the United States and Australia this June. James’ short films featuring the crime-spree capers of Octavius will premier at the home of Hollywood blockbusters, The Chinese Theatre, as part of the Dances with Films festival and at The New York Media Centre as part of the Brooklyn Film Festival. "I've never been out of the country. I am still waiting for my passport so I can go!” laughed James. Melbourne streets and iconic landmarks aren’t safe in these quirky films as evil teddy Octavius goes on a crime rampage, accosting innocent teddy-standers with heists, carjackings and framing teddy police for the theft of the Weeping Woman from the NGV all from his secret headquarters at Sidney Myer Music Bowl. James wrote, directed and shot the films before editing them alongside his dad at home while keeping up with his homework from Auburn High School where he is in Year 7. "My wife suggested this would be a fun father-son activity. I think she wanted to get us out of the house, really!" jokes his father, Steven. “ We bought a remote control car from Aldi and James had thought about sending up the film Speed," said Steven. "In the end he came up with something even better." While in the US, James will work on a new film featuring famous landmarks of the US. James will be heading to New York for the first screening of his film Octavius The Heist on June 4 at the New York Media Centre before jetting to Hollywood for the premiere of Octavius Hack Attack at The Chinese Theatre on June 11. From there, it’s his hometown’s turn with a screening at Little Big Shots film festival in Melbourne and a debut at the Sydney Opera House before the year is out. James Baras-Miller is available for interview.